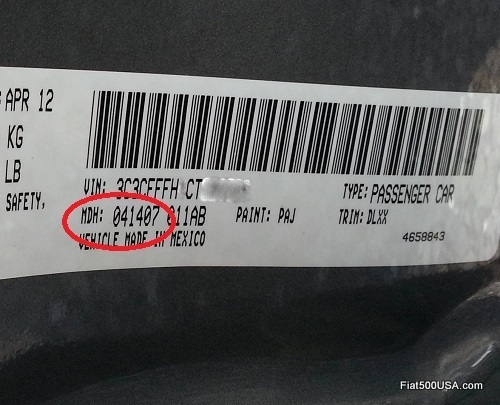 When it comes to ordering parts for your Fiat 500, knowing the Vehicle Identification Number (VIN) is vital. The Fiat 500 VIN is located on the top left side of the instrument panel and viewable through the windshield. 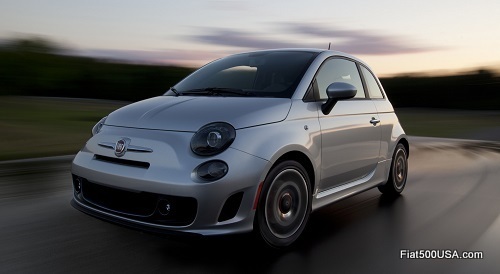 The VIN on the Fiat 500 follows the standardized seventeen character format implemented in the United States in 1981. Along with the VIN, another piece of information that comes in handy is knowing the MDH on your Fiat 500. The initials MDH stand for Month-Day-Hour and corresponds to the exact day and time your car rolled off the assembly line. Knowing your Fiat's MDH is necessary when you are looking at Technical Service bulletins (TSB), recall information and will also assist when ordering parts. Nowadays, without these two important bits of information, you have a very good chance of not getting the correct parts, so it is worth taking a moment or two to jot them down. 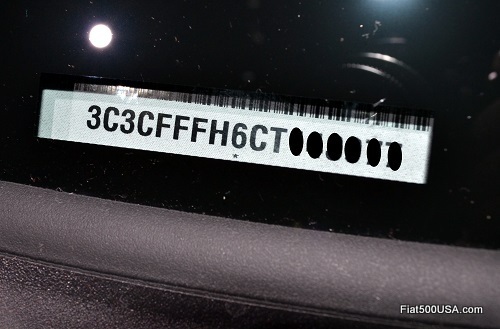 To find your Fiat's MDH, look for the vehicle certification label attached to the driver's door. Below is how to decipher the Fiat 500 VIN and MDH. Here is a how the Fiat 500 VIN breaks down and what each character stands for. ZFB - Fiat Group Automobiles S.P.A.
Any idea how to find my engine code? It's either EAB, EAC, or EAK. Is there a marking somewhere on my engine showing this code?